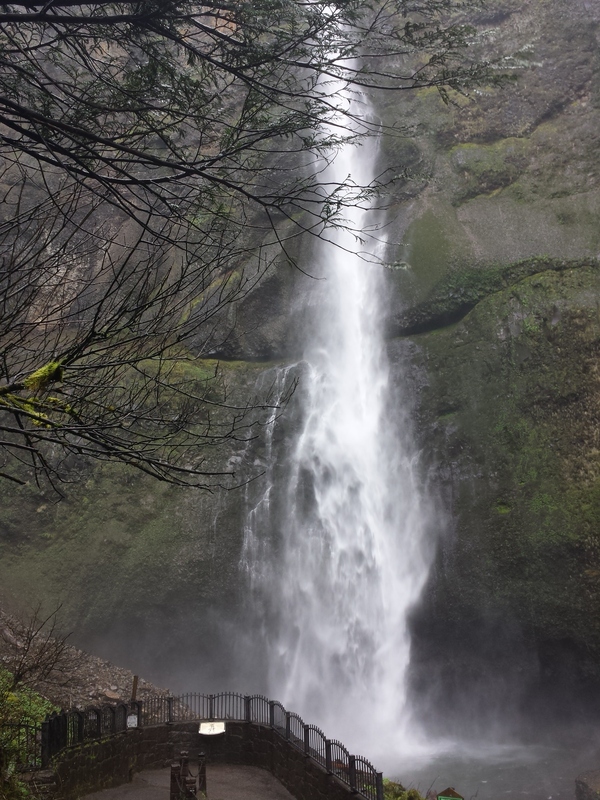 Multnomah Falls on a rainy day. 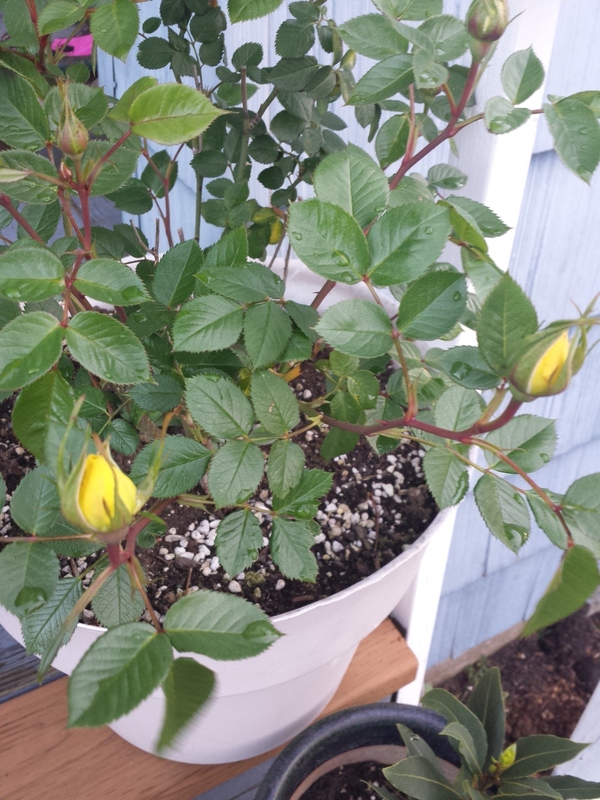 This container of yellow roses is one I found in someone’s throwaway pile one day, and am bringing back to health. It now lives happily next to my bay leaf plant. From my front yard garden’s first round of flowers. 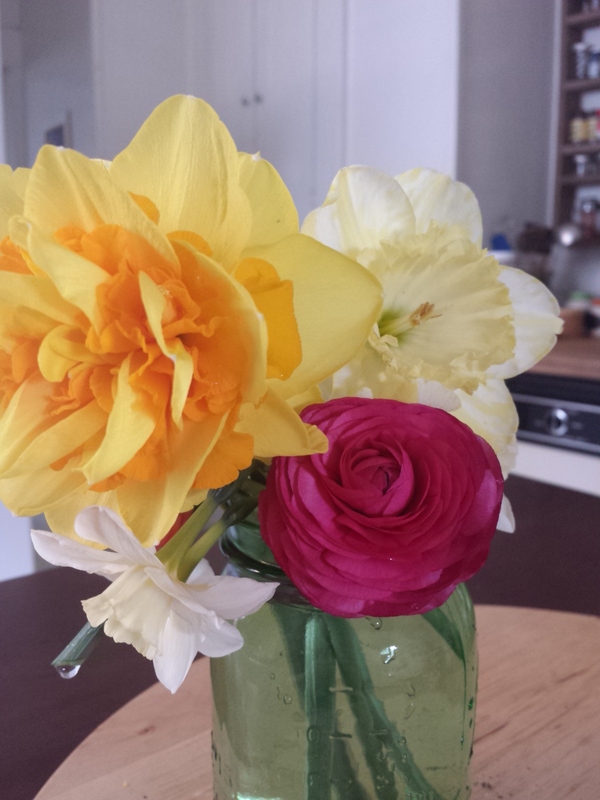 A mix of daffodils and ranunculus, or Persian buttercups. 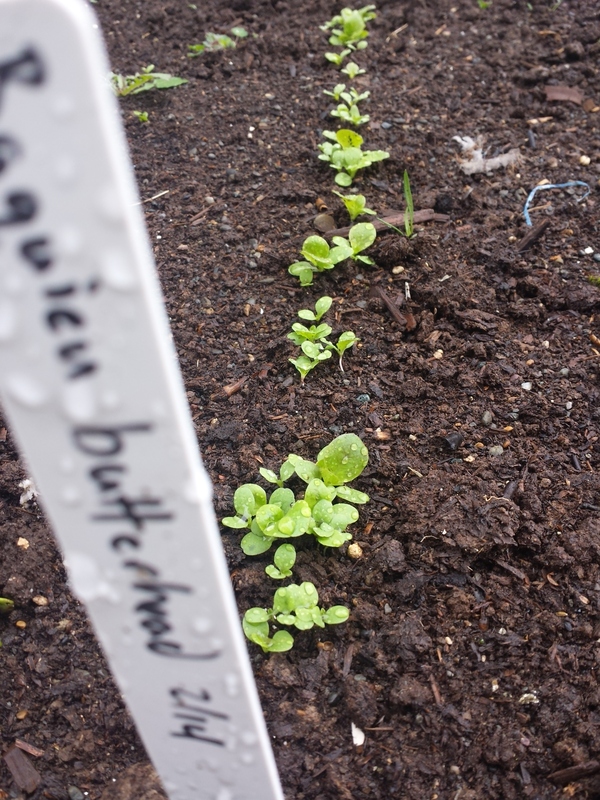 Butterhead lettuce. Oh, the salads we will make. 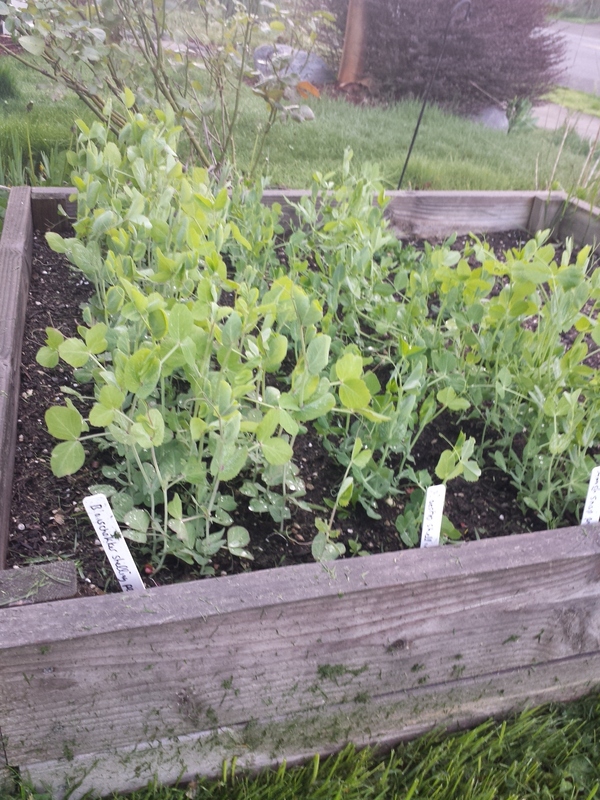 Peas of all sorts. I will trellis them this weekend. This isn’t spring-related, but it is cute. Now we come inescapably – like the changing of the tides, like mortality, like April 15 – to the point. Everyone has had diarrhea. If you’re a sufferer of chronic diarrhea, like I used to be with my big, bad, intestinal disorder, this remedy may provide some relief, but I urge you to seek the help of a physician who is willing to get to the root of it. I had to make my way through several medical professionals before finding the collection that was right for me. I am absolutely worlds better than in my sick days of the past. My intestines are happy, as a rule. 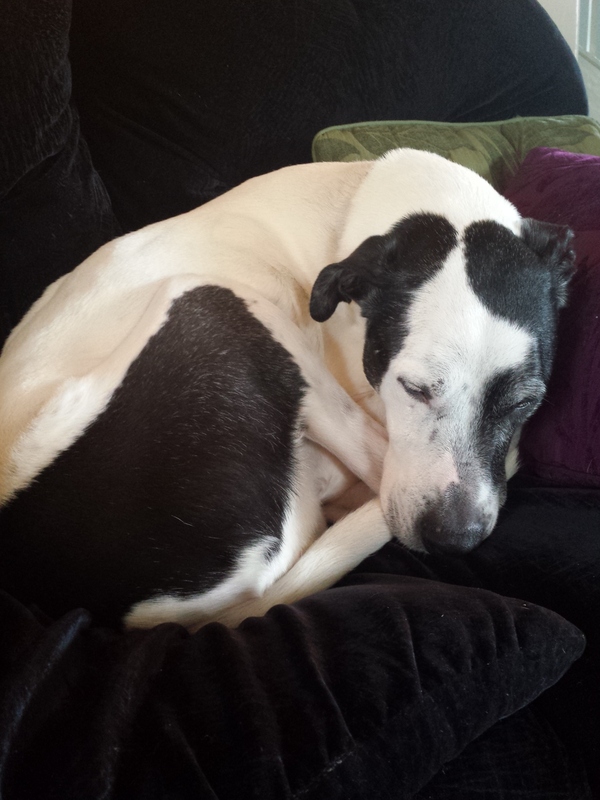 But they are still a bit fragile – years of irritation and inflammation will do that to you. I ate some takeout this week that was delicious, but had the unfortunate effect that is leading me to share with you today. This home remedy does not taste good; I’m very sorry. The good news, though, is three-fold: you don’t need very much of it; you probably either have the ingredients or can get them easily; and it helps. It really helps. This is a mixture in which all four ingredients contribute to intestinal health. Yogurt, for its abundance of good bacteria. Ginger, which helps treat food poisoning, and the cramps, nausea, and abdominal pain that come with it. Fenugreek seeds, for their high mucilage content – a strong antidiarrheal aid. And honey, because a spoonful of it helps the medicine go down, which is what Mary Poppins would have sung instead, had she lived in an age with refined sugar. 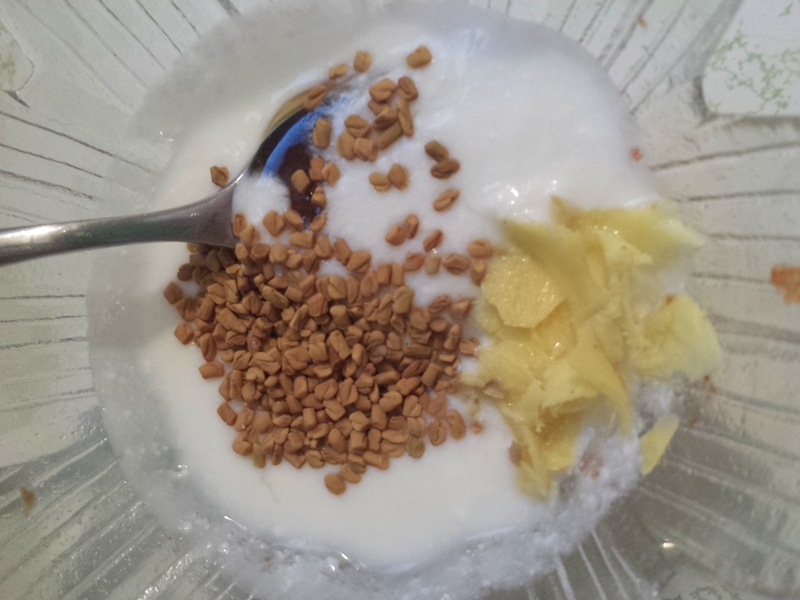 All you need to do is mix a small amount (1/4 C max) of full-fat, natural-as-possible plain yogurt with a teaspoon of fenugreek seeds and 1/2 teaspoon or more grated ginger. Dip your spoon in honey (preferably raw and local), mix it all up, and eat it as quickly as possible. Those fenugreek seeds are not super tasty. Also a great idea are high-quality probiotic capsules, ripe bananas, and shots of apple cider vinegar in glasses of water. All the best to your colon! 28 Mar	This entry was published on March 28, 2015 at 2:56 pm and is filed under Collection. Bookmark the permalink. Follow any comments here with the RSS feed for this post. I made the ant-diarrhea remedy today. I was not able to chew the Fenugreek seeds, too hard, I swallowed them whole, should I crush them? You can also buy the powder, but I wasn’t sure of the amount I would use. I was expecting a bad taste, which I did not experience of course and I’m OK with swallowing them whole as long as they work, just want to be sure I am making the recipe properly. Thanks for your help, and again I know you are busy so just answer when you have the time. Hi Mary! I’m sorry you couldn’t chew them whole. You could try toasting them and crushing them, but I’m not sure what the powdered equivalent would be. I think it’s probably safe to experiment a little bit. Did it work for you? Yes, Malerie I feel the anti diarrhea remedy works. I have taken three times and will probably use once a day for a preventive until things quite down. I’m so glad to hear it helps!!! That’s wonderful. Thanks for this info, I did not know about the seeds, which I will buy this week. I do appreciate all your info and help. A defin i te gr ee n thumb! Did you calla starts take? ope so. Mine are opening up, should have a bouquet for Easter! Love this even though i never get diarrhea. Do you make your own facial cleanser and/or moisturizer?